Commcan, short for Commonwealth Cannabis Company, is a Boston area dispensary. I was tasked with developing a unique brand for their budding MA-based dispensary. The project started with Founder & CEO Marc Rosenfeld giving us a tour of their 60,000 square-foot grow facility, which was then in the process of being built. 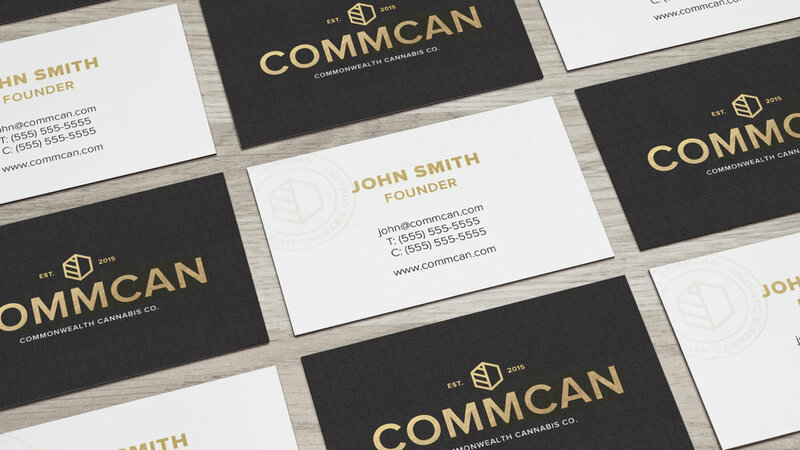 I wanted the brand to represent the fusion of modern technology and traditional agricultural practices, which is exactly how Commcan’s facility operates. I also wanted the logo to represent the simplicity and integrity of Commcan’s organic ingredients and processes, so we kept the form simple and clean. The icon is also a slight nod to the science behind growing cannabis, with the hexagonal shape representing a portion of the THC molecule and the diagonal lines alluding to a microscopic view of a leaf. I was also tasked with creating the packaging for Commcan Flower. 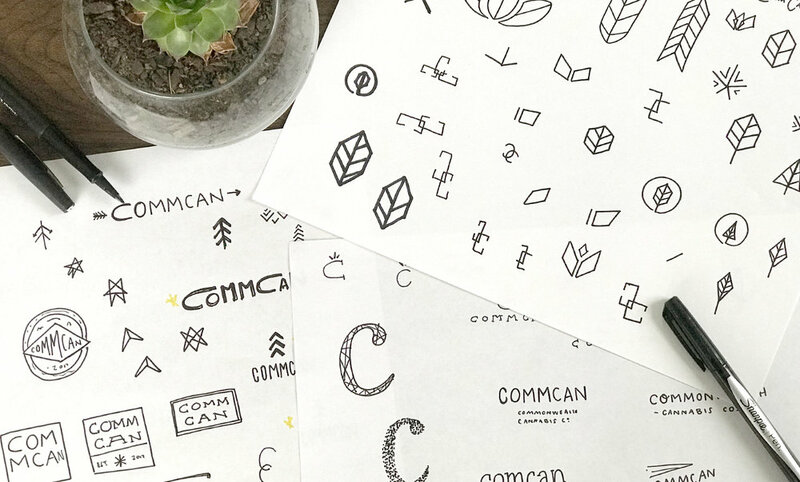 Commcan Flower features Commcan’s sleek and refined styling that allows for the focus to be on the cannabis product itself. Color is deliberately used to indicate whether the strain is a Sativa, Indica, or Hybrid, making for a seamless and straight-forward customer experience inside the dispensary. The packaging is meant to pop off the shelves in dispensaries, not only enticing the customer to check out the product, but making the important information readily available once they do.